Every year, I buy my daughter a Christmas ornament, so that she will have a decent collection of Christmas tree decorations by the time she finishes college. 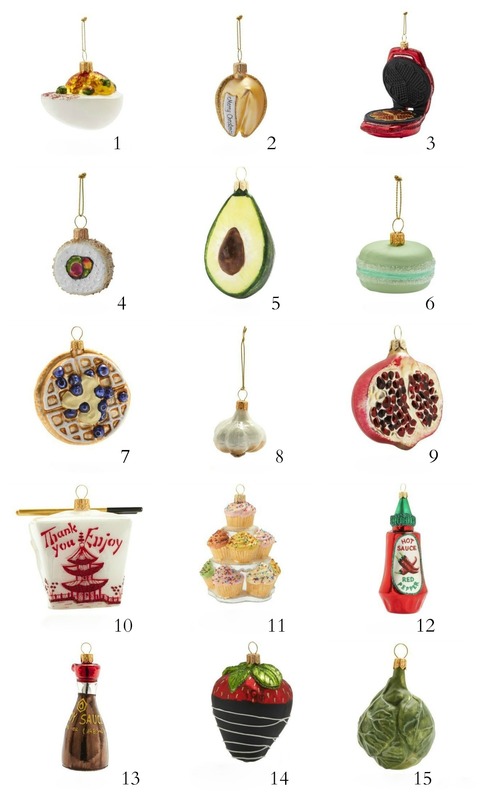 At a recent trip to my local Sur La Table store, I saw all these fabulous food glass ornaments. They would make a perfect hostess gift or stocking stuffer! I am sharing just some of the lovely little glass pieces of art, which are on sale right now for 30% off! 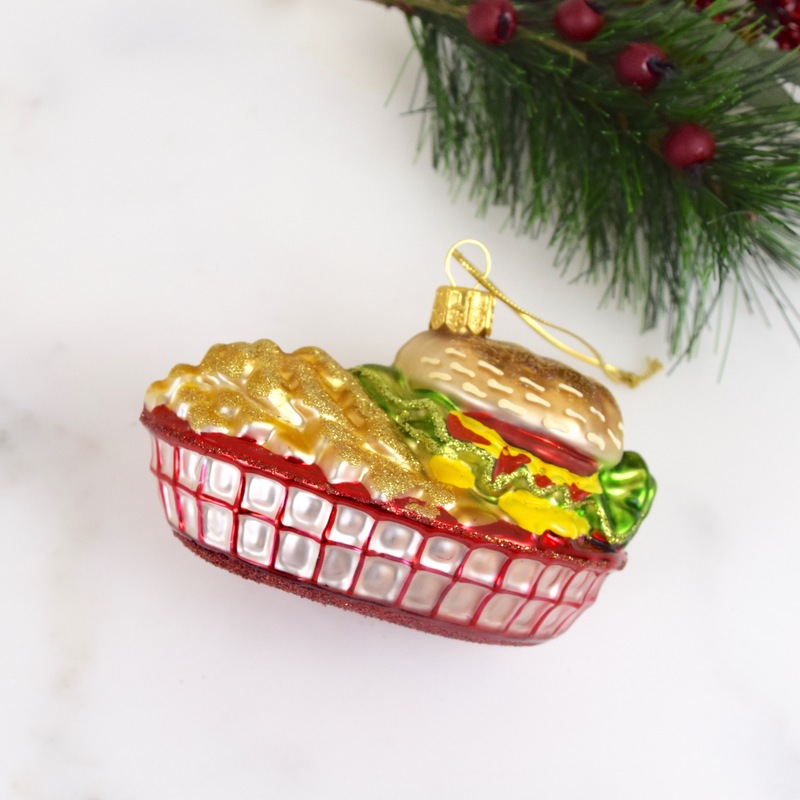 Ornaments are available at SurLaTable.com. 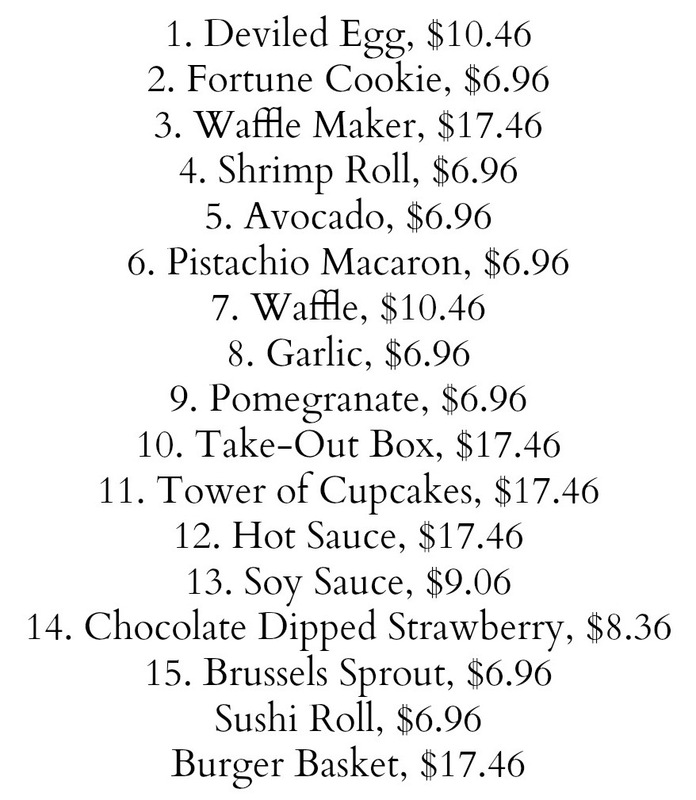 Sale prices listed. 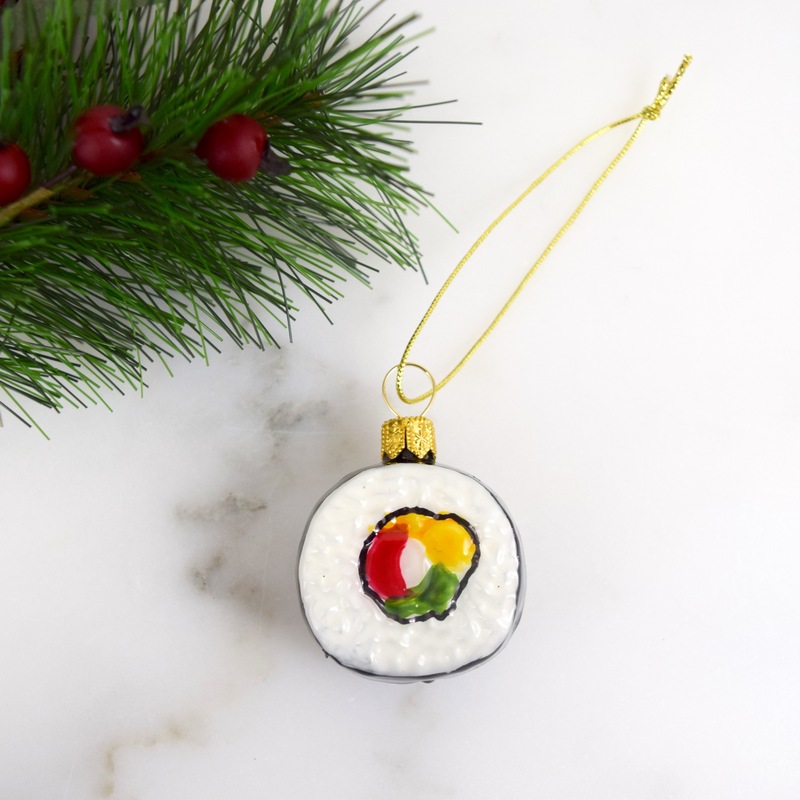 Since Laura is such a lover of sushi, I thought this sushi roll decoration is perfect for her! The burger basket is a great choice for her boyfriend, because he is a lover of In-N-Out Burger! this is so cool! I want one for my son! Love those ornaments!!! How cute I want to get them also. Suzanne, check out the Sur La Table website, because they have more cute ones! So glad you liked the ornaments!